SUPPORTER. DIGITAL ADVOCATE. Crime Show Geek. Willing to try her hand at anything, Rachel’s can-do attitude has helped her quickly adapt to the needs of SCORR’s digital team. She helps clients optimize user experience, convert prospects to customers and drive revenue via inbound strategies and marketing automation. 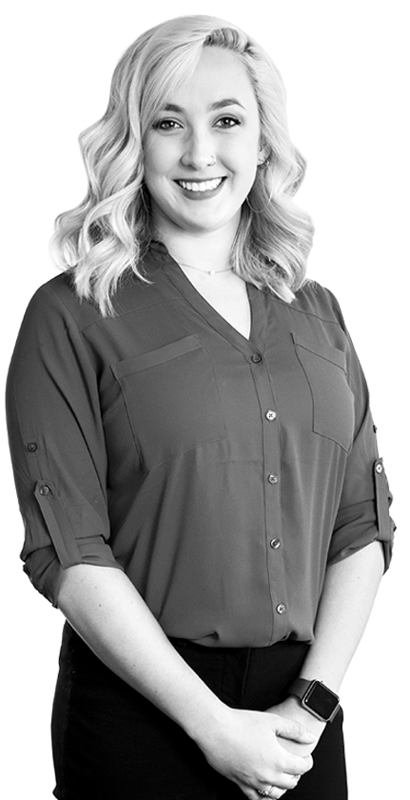 Partnering with SCORR’s internal teams, Rachel strategizes integrated marketing campaigns and also assists with report development, social media, paid search and website analyses. Certified in Google AdWords Search and HubSpot inbound marketing, content marketing, email marketing and marketing software, she continually educates herself and embraces new digital tools to add value to her evolving role. Rachel says she spends too much time on social media — Instagram is her favorite for beautiful places and happy memories with friends. Obsessed with coffee and Netflix, Rachel loves crime shows and has seen every episode of CSI: NY, Hawaii Five-O, Blue Bloods and NCIS. I am your Engaging advantage.